By designer Rachel Cross, the Basic Range series of rulers are simple to read and use. 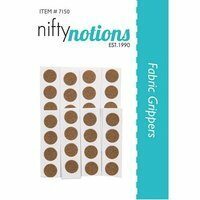 Black letters on a white background make this ruler easy to use on dark and light fabrics. The grid lines are marked in 1/4", 1/2" and 1" increments with the edition of a 45 degree angle. 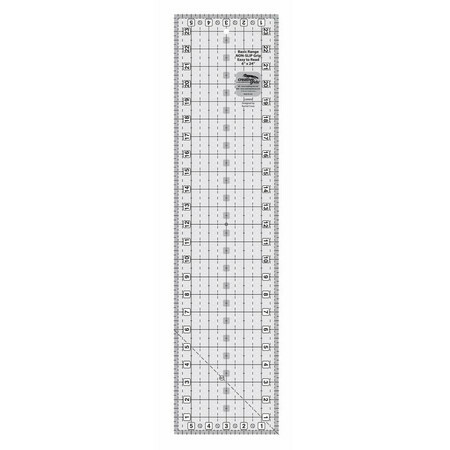 Equipped with Creative Grid's exclusive grip, this 6" x 24" ruler slides easily on fabric yet stays in place when pressure is applied. Made in the USA.